The popularity of video as communication tools is becoming even more popular. Facebook announced that they are testing a new camera tool on Facebook app and it is called the ‘Style transfer’. This tool helps to capture, analyse and process the pixels in real time on the new deep learning platform on mobiles. This system is called the Facebook Caffe2Go. What is Facebook Caffe2Go Deep-Learning AI? Features of Facebook Caffe2Go Deep-Learning AI? 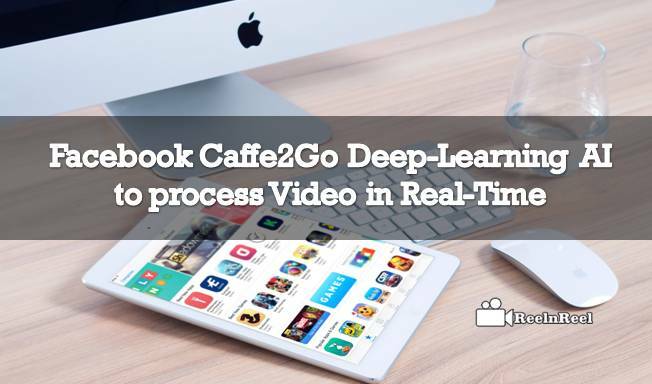 Caffe2Go Deep-learning AI is a video tool that can help use the AI on smartphones. Instead of sending the type of information back to the data centre servers for pixel processing, the new tool uses the computing power in the smartphone. The introduction of this tool is going to be a milestone for Facebook as it makes the artificial intelligence accessible and available on smartphones. We know artificial intelligence is very beneficial for the system but all the systems do not run on supercomputers. Facebook Caffe2Go system uses Video style transfer tool. The tool is a combination of two technologies – the style transfer model and the Caffe2go runtime. Video style transfer tool works similar to Prisma, but Prisma does not work with live video. Also, the new Facebook machine learning tools convert live video into creative arts. The style transfer app of Facebook runs on new models and delivers high-quality videos. Several numbers of art filters powered by artificial intelligence will be introduced on the Facebook app soon. Using these filters, the users can add artistic styles to their videos, photos and live to stream. Style transfer is not new, and Prisma was a similar popular tool. The new Facebook Caffe2Go feature launched for the mobile phone will improve global connectivity and interaction between human and computer. The artificial intelligence built on neural networks. Voice recognition, facial recognition of translation of Skype calls into other languages is possible with this. The new technology of Facebook which is called the Caffee2Go is a type of artificial intelligence called the deep learning. Facebook developed pre-trained neural networks to interfere with the data on a mobile phone. Google also demonstrated this technology developed by themselves, but it is not said that the technology will run on mobile devices. Train neural nets on mobile devices are a difficult task as there is the requirement of more data and compute power. Caffe2go software based on Caffe2 software open source which derived from Caffe open source deep learning framework. This tool is designed especially for mobile phones. This is nearly hundred times smaller A1 model than the existing one. This app, developed by Facebook runs on both Android and iOS devices. High-quality videos are more successful on Facebook. The new app can be used to provide more quality to both the images and the video. Facebook live videos can be transformed into interesting artwork using this app. What are deep neural networks? Well, it is the computer program types that act like neurons in the brain. These used for voice recognition and other things. These types of programs take up a lot of processing power. And to run these programs, connecting to the network is also necessary. The data or the request sent to the server which does the computation and sends the results to you. But the new art filters of Facebook work locally on the smart phone. Facebook also informed that the mini forms of artificial intelligence and the Caffe2go could be used to develop new features such as gesture-based controls, facial expression recognition etc. Image content description for blind users is one of the ways Facebook uses artificial intelligence. This process will now happen offline with real-time video. This is a great tool that has been introduced by Facebook, and this could make the one’s story to give good experience through the last video. This can expand the advanced thinking of Facebook in building the more trust at users.